Within tech circles, 5G technology has been all anyone’s been talking about ever since the very first 5G broadband service launched last year. Promising incredible speeds, almost non-existent lag and the ability to transfer vast amounts of data across a significant amount of devices, it is only a matter of time before the wider adoption of this technology – both in the private sector and in many industries. Designed specifically to meet the growth in digital connectivity and data usage of today’s society, industry experts will realise that 5G also goes hand in hand with another exponentially growing tech trend – the Internet of Things. 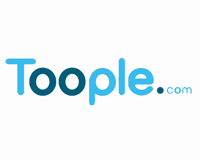 Toople.com (LON:TOOP) deliver brilliant business broadband solutions, with robust and reliable packages that’ll enhance your company. Our vision is based on trust and transparency, with no hidden fees to catch your business out.